Am back with unboxing of this month’s VanityCask beauty subscription box. VanityCask sends some amazing products every month from luxury brands that you don’t usually see in other subscription boxes – not like the usual Fuschia, MCaffeine, etc or those soaps. I hate when subscription boxes send soaps and shower gels. This month there are 3 full sized products from luxury brands like The Nature’s Co and Votre. The theme of this month is ‘The Vegan Edition’, something I was looking forward to very much. 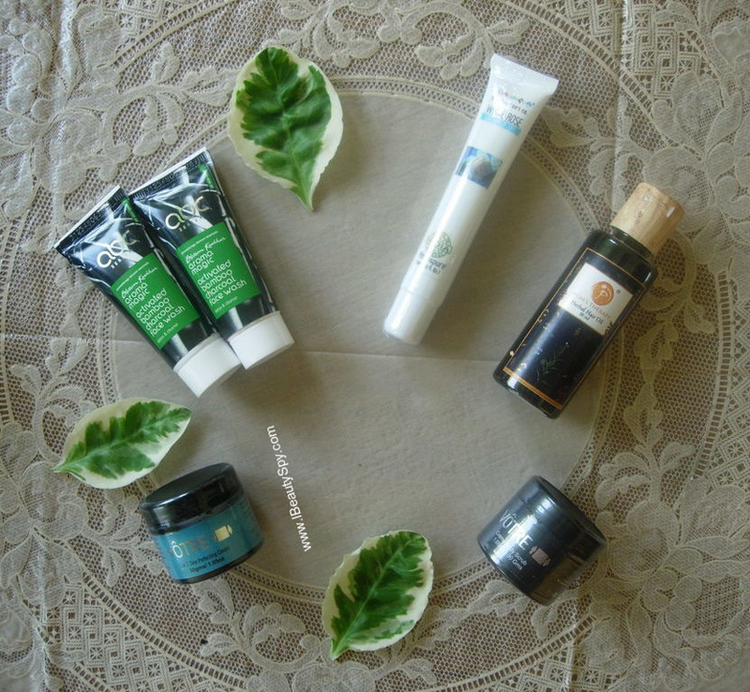 If you are a regular reader of my blog, you would know that am trying to shift to a vegan skincare routine. And getting VanityCask this month is very useful for me. Let’s start with the unboxing and see what all products I got. We at VanityCask are striving to be the ultimate luxury beauty platform. With every box we launch, we aim to introduce you to some of the best luxury beauty products in the world. We have curated a special box this September with some of the best Vegan skincare and haircare products. Veganism is a way of living which seeks to exclude all forms of exploitation and cruelty to animals for food or any other purpose. Team VanityCask proudly presents to you our Vegan Edition, specially curated for you! 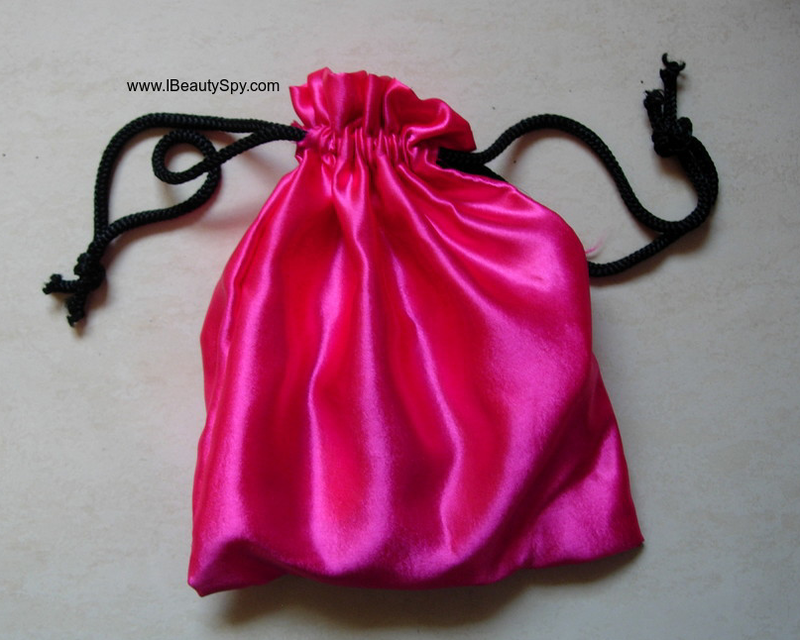 The packaging comes in the usual black box with a pretty pink pouch inside. It surely looks luxurious. There is also a booklet which lists all the products details along with detailed instructions of how to use them. I have heard a lot of good reviews about this face wash. Aroma Magic is a brand that never fails. All their products are free from parabens and SLS. The samples provided are of good size and there are two of them, so its very good to gauge whether the product works for you or not. Also you can carry these cute, tiny tubes while travelling. It is difficult to get travel-sized versions from some brands. Thanks to VanityCask for making it possible. Claims: This Face Wash removes dead cells allowing the skin to breathe. It promotes cell regeneration and increases blood circulation that brings glow to skin. It’s antibacterial and antifungal properties help guard skin against free radicals. It works gently on skin to make it lighter and brighter. It also tightens pores leaving it perky & toned. White rose for eyes! Am so tempted by this and want to use it immediately. I will post a detailed review on this soon. The Nature’s Co as we all know is one of the most popular vegan brands in the market. And getting a full-sized product of this in a subscription box is awesome 😊. Claims: Get Beautiful eyes in a blink. White rose extracts do a lot. They moisturize hydrate and stimulate blood circulation. Its anti-inflammatory properties, prevent puffy eyes, dark circles and help to reduce fine lines, while keeping new ones at bay. Votre is another good vegan brand in India. Their products are made from 100% botanical plant extracts and they are cruelty-free as well. I have tried quite a few Votre products and they suit my sensitive skin perfectly as they are very gentle on the skin. This cream has some good ingredients like licorice, bearberries and vitamin C. Hoping to see good results with this too. This is also a full-sized product. Claims: This product is a solution to your five skin problems caused by pollution and stress. It rejuvenates your skin making it look young and beautiful. It has a unique formula that revitalises dull skin and gives you a healthy, young and glowing skin. With the goodness of botanical extracts it improves your skin texture. It reduces uneven pigmentation and ensures even-toned complexion. It moisturises your skin and diminishes existing fine lines on the skin. It acts as an anti-ageing cream and gives you a healthy skin. Another product from Votre. I have never tried any body care products from Votre. Again the ingredients list seem super impressive and am looking forward to try it. Claims: Experience Créme Body Scrub with richness of natural butters and oils blended with aromatic oils along with the goodness of fruits and herbal extracts. Key Ingredients: Corn particles, Almond oil, Kokum butter, Shea butter, jojoba oil, Licorice extract, Lemon extract, Pomegranate extract, Pineapple extract, base qc. This is a new brand for me. Haven’t come across this before. But one look at the ingredients and am convinced. First cold pressed black sesame oil, brahmi, bhringraj, amla, rose petals and castor oil, all of which are very beneficial for hair. This is a again a full sized product. Claims: This Hair Oil is produced by using the 100% natural and cold press black sesame oil infused with other ayurvedic herbs. This ancient ayurvedic therapy treats premature graying of hair, promotes hair growth, protects from sunlight, treats dandruff, moisturizes the scalp, prevents dry hair, helps in deep conditioning and revitalizes damaged hair. This time, VanityCask has provided many top luxury salon vouchers. 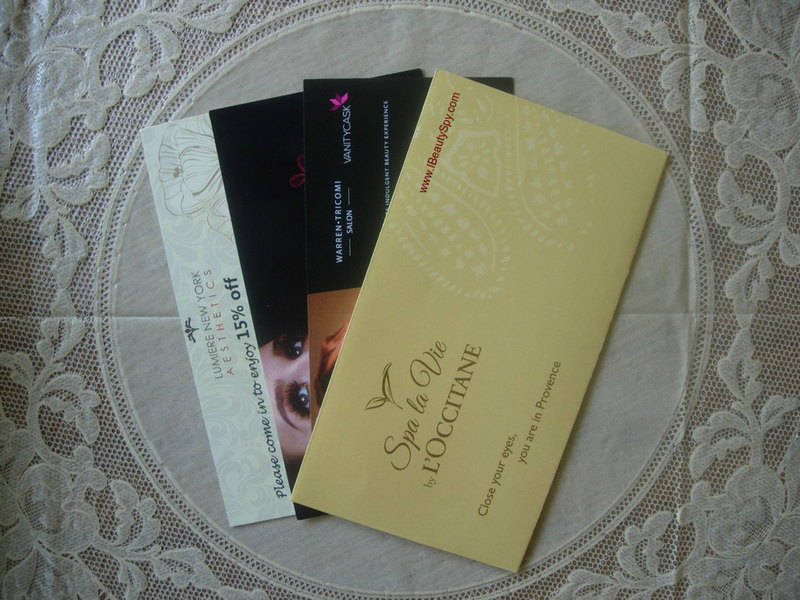 Imagine getting Loccitane and Warren Tricome vouchers, each at Rs.1000 off, in a subscription box. I was really surprised and happy to receive them. Hoping to get some Loccitane deluxe samples in next month’s box 😊. 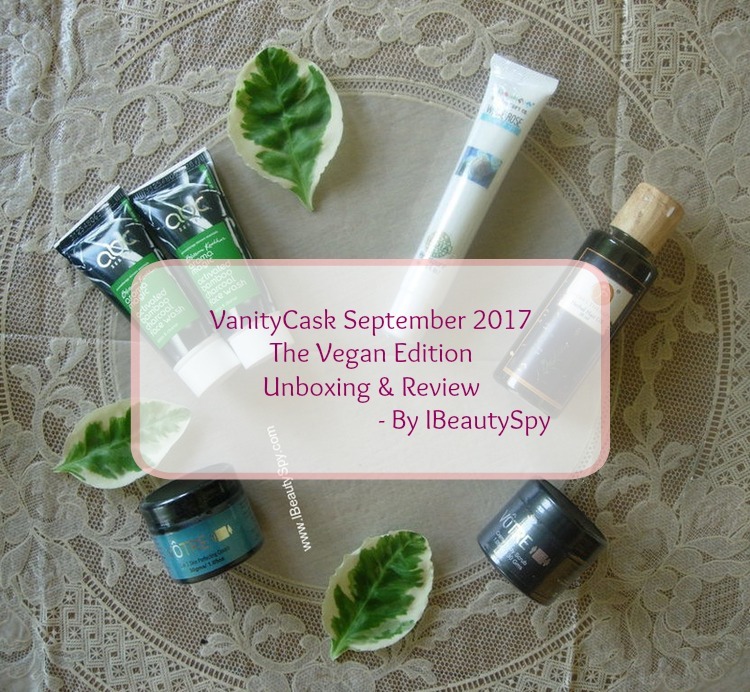 So these are all the products that I have received in my VanityCask September 2017 Vegan Edition. Am happy with all the products this month. And I appreciate the theme for this month – Vegan Edition. I don’t think any other subscription box till now had this theme. I would highly recommend you to try this month’s VanityCask. Don’t you want a Loccitane and Warren Tricomi Spa Voucher as well as a full sized product from The Nature’s Co and Votre? If you wish to sample some luxury brands every month delivered to your doorstep, just subscribe for VanityCask. I always like their packaging and potli bag. It kind of look luxurious. This month’s products too look great and worth getting. I like the black box they provide. Also have used Votre products in them, and I love them. I totally love their packaging. It looks super cute.